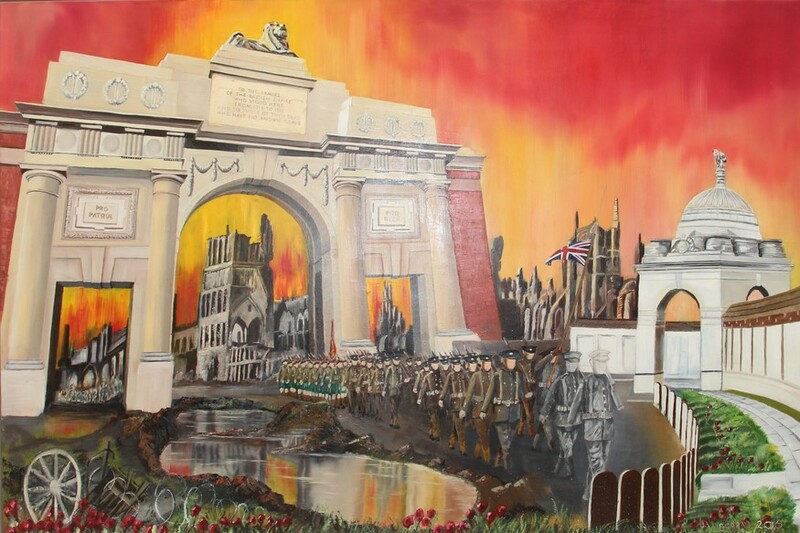 The ghosts of the first world war haunt these paintings, by Chelsea Pensioner, Rick Graham. The specially-commissioned artworks go on display as part of an exhibition at the Royal Hospital Chelsea this month, commemorating the centenary of the signing of the Treaty of Versailles. 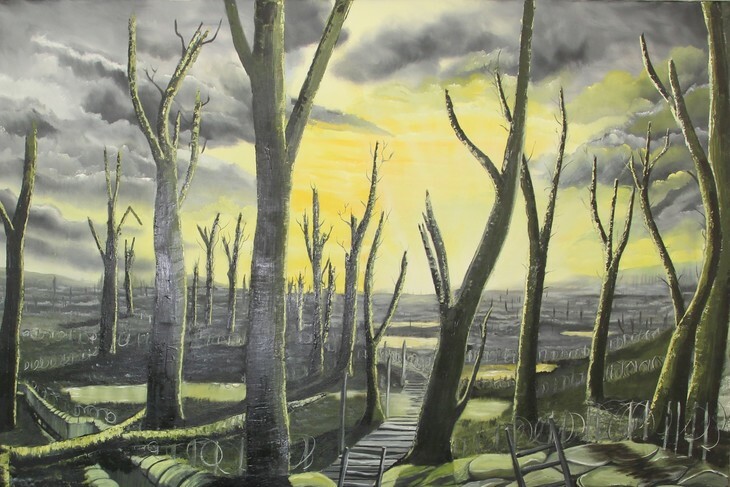 Graham's thought-provoking paintings remember brave British men setting off for the battlefields of France and Belgium, as well as the city of Ypres razed to the ground, its sky throbbing blood-red. 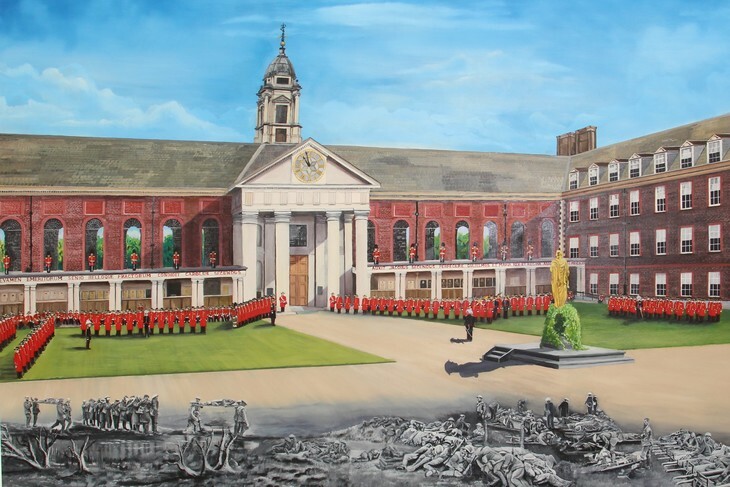 Another work is set at the Royal Hospital Chelsea — home of the Chelsea Pensioners — and remembers those residents who'd fought in the Great War. Elsewhere, as part of From the World War One Battlefields and into the Peace, you can learn about Sylva Boyden, the first woman to descend from a tethered balloon by a packed parachute; find out why the Silver Badge Men, who could not serve, marched in Hyde Park; and examine a copy of the Treaty of Versailles, given to the Royal Hospital, shortly after the original was signed. 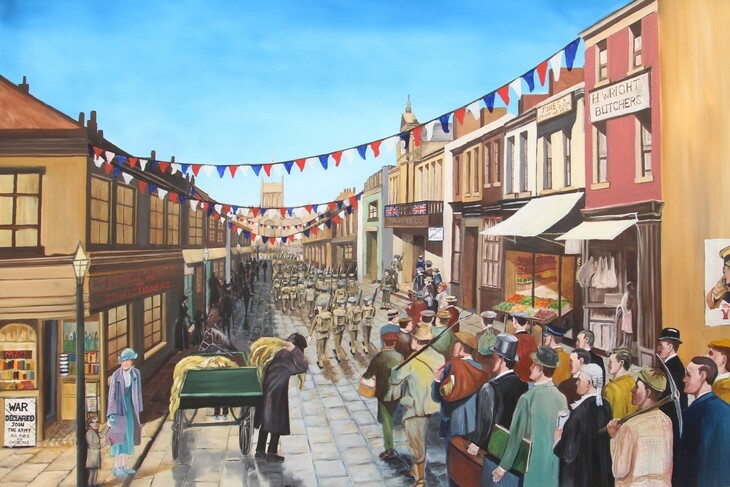 The 10th Essex Living History Group will recreate a section of a first world war trench, re-enacting the demobilisation of a unit coming back home to England after the war, complete with original tents, cycles, uniforms and equipment. A series of free guest lectures takes place each day at 2pm. 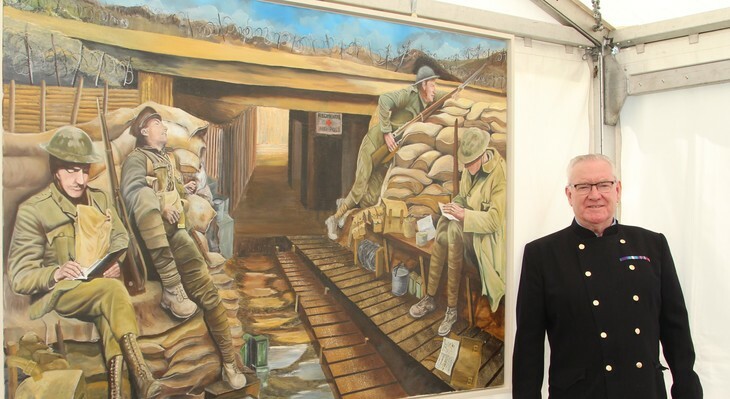 Artist and Chelsea Pensioner, Rick Graham, with one of his paintings, ‘Battlefields to Butterflies’.